Children with autism can benefit from one-on-one Applied Behavior Analysis therapy sessions. 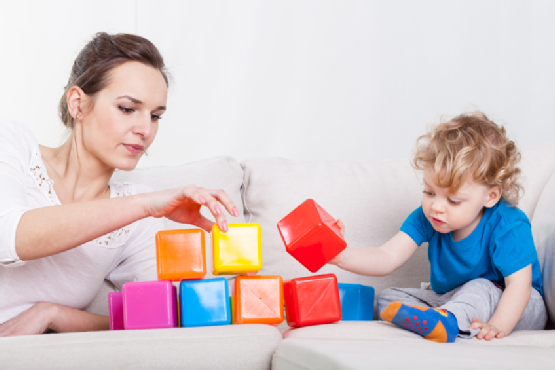 During one-on-one therapy, the autism specialist will carefully observe the child, discuss his or her challenges with the parents, and assess the child’s unique needs. Then, a personalized therapy program is designed to meet those needs. Children receive the undivided attention of their therapist while they work on mastering important skills. Some of the skills a child might learn during one-on-one ABA therapy sessions include compliance and instruction following. These skills can greatly contribute to harmonious family life and they may set the foundation for success in the classroom. They can also fine-tune their motor skills and self-help skills. Children also learn new social skills, including age-appropriate play and appropriate interactions with siblings and peers. Therapists can even help children make progress with academic skills, including math, reading, and writing. To learn more about the benefits of one-on-one therapy for your child, you can call The Behavior Exchange at (972) 312-8733. Our autism specialists use the principles of Applied Behavior Analysis in our behavior classes.